Good Night Fairies explores flower fairies, sea fairies, butterfly fairies, pixies, rainbow fairies, glitter fairies, cloud fairies, gnomes, elf fairies, brownies, will-o�-wisps, star fairies, moon fairies, and more. 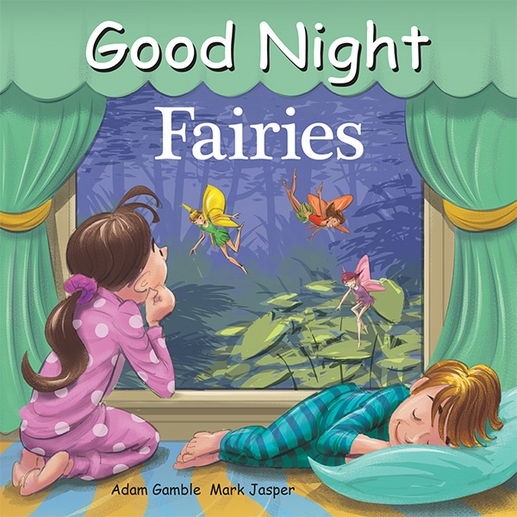 Young fairy lovers will treasure this the adorable board book, filled with fairies of of every size and shape. 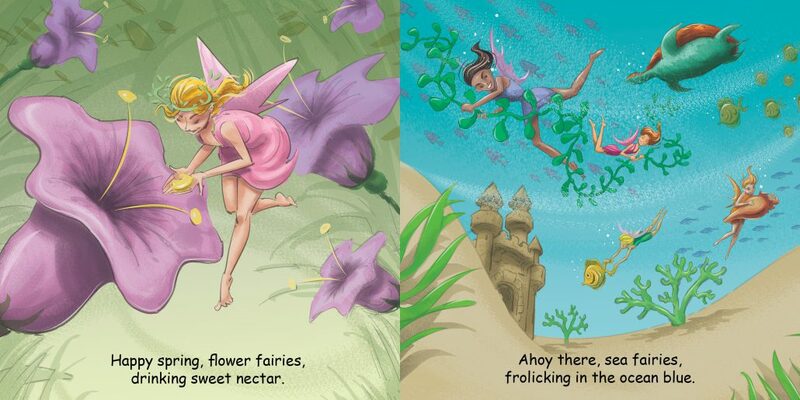 Children will discover many different types of fairyland creatures, inspiring a sense of wonder and imagination.